If you would like to interview Jen Y or include her comments and perspectives in your piece please get in touch here. I was privileged to be featured on Episode 78: 'Helping People Get Started With Jennifer Young and Tony Henderson Newport at Pop Up Business School' (30 mins). 'For anyone who wants to learn the key skills for getting an idea off the ground, and all for no course costs.' This episode delves into the positive difference this condensed business masterclass is making on people’s lives. Diving into some of his and course facilitator Jen’s journeys to now, and wrapping up with in the moment feedback direct from the Kapiti course cohort. 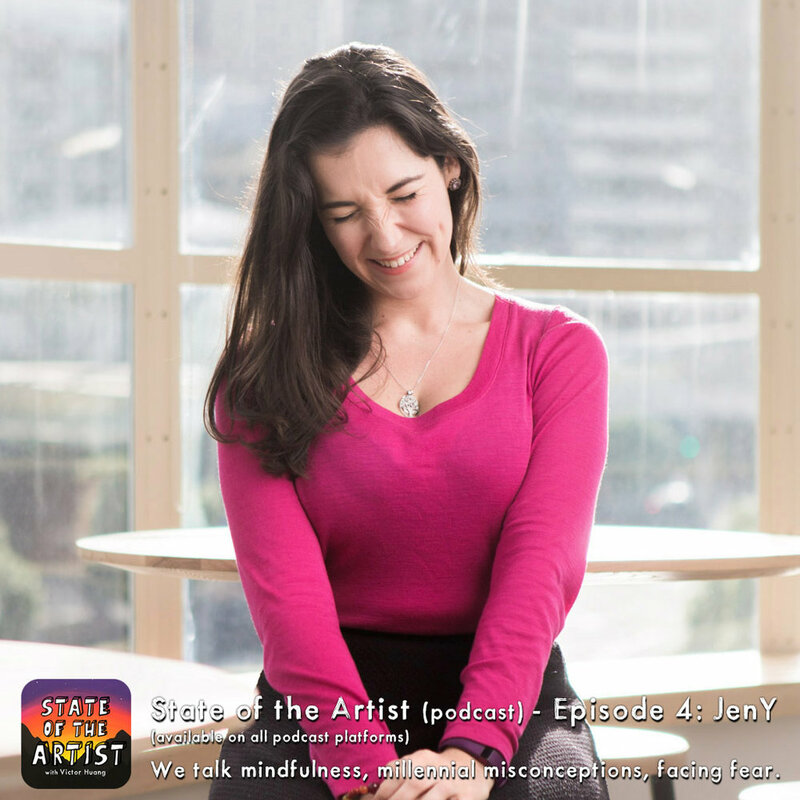 Another humbling experience: being asked to be on the State of the Artist podcast to talk about millennial misconceptions, mindfulness and facing fear with Victor Huang of VictorHuang.co. On the podcast I also talk about some of the work and voluntary work I do supporting the Rotary Youth Leadership Awards programme (District 9940 RYLA), the PopUp Business School Aotearoa, Inspiring Stories' Festival for the Future, Summer of Tech, BizDojo and Ovio Mindful solutions. Learn more about one of the courses I deliver: Ovio Mindfulness One (a beginner mindfulness course). Also check out www.ovio.co.nz to learn more.